I hope you enjoy this beautiful poem as much as I do!!!! Happy weekend blogging friends!!!! Their joys are simple. A soft bed. A scrap fallen from the table that the younger dogs missed. The memory of a treed squirrel. A stormless night. Old Dogs…their sweet Buddha bellies hang over crossed legs as they fall asleep in a coveted patch of sun. Dreaming of out-racing their shadows down long, shady lanes. Once they danced by your side. The very definition of joy unleashed. A perfect poem caught in shining eyes and wagging tails. They have followed you faithfully for years. And would plunge into fires, untamed wildernesses, raging waters if you asked. Their cloudy eyes are starting to dim and go distant, tuning in to some invisible world. Just beyond your reach. Don’t go you say, as you scratch the tender part between their ears. Stay longer. I can’t imagine a world without your fur pressed close to my cheek. There are still so many roads we haven’t explored. A place where they will now wait for you to catch up. I know, I’ve got my Kleenex too!!!! Pawesome poem! We are angels! Woooooowoooooooo! I know, you certainly are!!!! Happy woofs and wags!!!! Lovely poem. Since my sister is older, we can see it all unfolding just like it says. Yes, each day we have together is such a treasure!!!! Here is to many many more my friend!!!! Having just lost Smokey Lonesome Ollie and Paw Licker Annie so recently, this poem really spoke to me. Thanks so much for sharing. Oh, I know…this poem is so honest and true…said just perfectly…Hugs always to you and yours!!!! Dearest Giz, who else passed over the Rainbow Bridge recently? Anyone Trev and I may know so we can send condolences? Each day God gives me with TrevBear is another blessing to my life…Here are to many more years for me and Trev to be together!!!! Yes, Such an honest poem…Happy weekend to you!!!! Uh Oh. I resemble that. I was 11 in July and Scots don’t live much past 12. As I was reading this I was scratching Max’s head (4 yr. old St. Bernard/Lab X) and thinking of Buster – my St. Bernard who crossed the bridge at age 8. I’m praying for many more years with Max. Beautiful. 15…wow…15 wonderful, blessed years!!!! They really are angels…Sending love and treats to your little Trompie!!!! Yes she was an old lady already! Trompie also says he loves you and sends licks to you. This brought back memories of our Lukey-boy, we used to call him. He’s probably prancing around in dog heaven. Yes, I ended up blowing my nose on my shirt while reading these passages. I was wedged between my book case and this big lug who decided to lean and rest his head on my lap. Laps are the best pillows to our faithful furballs!!!! I know, this poem really got to me too…Here’s to treasuring each and every day with them!!!! You know Lukey-boy is up there, having a blast, endless array of treats and all the hills and trees he could dream of!!!! Hugs and happy weekend!!!! That was very touching but so beautiful. Thanks so much Trevor. So so welcome…it was just too beautiful not to share…It’s one of the most honest poems I’ve read…Happy weekend!!!! Well, thank you sweet Dakota!!!! Just too wonderful not to share!!!! It resonates so deep in the heart…Happy weekend!!!! Phankz Trev Bear..me haz bin eatin guud since Wednesday..dem injeckshunz werked n so did da Mirtazipine…me feelz more like meself…now me hopez da medz keep werkin so me can stay home wif Mum!! Thank you so very much!!!! Hope your week is pawesome!!!! Ugh, sweet poem but a rough one to get through! Yes, I know…brutal but beautiful!!!! Have a pawesome rest of the week!!!! Taking much joy in our 14 year old lady! Nothing is more beautiful than an old, content dog, and knowing you made them that way! Oh, I know!!!! Have a blessed day!!!! That is a beautiful poem…and accompanied by such a sweet photo of Trev! Love it. Thank you so much sweet Oz!!!! Have a pawesome Halloween!!!! Thank you Peace, Love & Whiskers!!!! 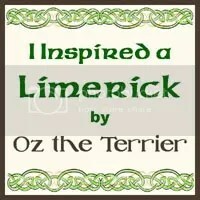 We truly appreciate the link up…Great post on sweet little Oz….We love him!!!! Have a pawesome week!!!! None of my dogs are old yet. I hope they’ll get there though! I once knew an older lady who had a maltese, and that dog looked and acted 3. When I asked her the dog’s age at one point I found out the dog was actually 14. I’d never have guessed. Her teeth were pearly white and perfect, eyes bright and clear, and no limps or lumps of any sort. It was like age never touched her. I still remember her even though I don’t see her anymore. Hi there and thank you for visiting us!!!! The NaNoWriMo looks pretty cool and thanks for the invite…Wow, the Maltese was 14…That is so pawesome, Senior dogs ROCK!!!! Trev and I will join the NaNoWriMo, please just let us know what we need@TBarkfast: Oh yes we do, don’t we? #it’sadog’slife http://t.co/KHQCMMOMgX to do!!!! Woofs and wags!!!! Lovely, lovely poem, Trev. You have a great weekend too. We’re still getting good weather during the day here but the evenings have cooled considerably. I’m so thankful I found it…too beautiful not to share!!!! I hope your days continue to be wonderful, it’s almost time to pull out the Snuggies!!!! Happy weekend!!!! Write to Wag – loved this. Thank you! I’ll be back to reblog – posted too much today. Again, thank you. Best ~ HuntMode – Seems good for old people (me), too! Mama is crying reading this wonderful poem to me..now I’m the old dog of the house (almost 11 yrs) when once I was the baby, with Mama Dog (Snoopy) and Grandpa Dog (Reilly)… now I am the slow one on walks, my eyes are also starting to cloud: last week, I thought Pepper “the rescued mutt” was a squirrel, charging towards her with fury, until I stopped within a foot of her, realizing she was my silly, little sister! Dogs shouldn’t come in grey and white,,,it confuses us old dogs! Woof out! Woof out…love that!!!! I know, that poem really touched my heart, so true, so honest…Each day is such a gift with our four pawed treasures!!!! Willow, Snoopy, Reilly and Pepper, so great to woof along with all of you!!!! Woof out right back to you old friend!!!! Definitely a two Kleenex post! ❤ Happy weekend. Oh I know it, thank you for visiting us today! Have a fabulous weekend! Hey there sweet Willow! Oh, I know…tears galore…You are 12 years YOUNG as Trev would say…Age just makes every single day even more special…Hugs, wags and treats to you today!!!! LadyMum meeted mee a week later an shee could not get mee outta her mind an mee came to live with her Decemburr 9th…. Mee iss now 10 monthss old…growin like a weed (so shee tellss mee). mew mew mew..
Where mee came frum there was a doggie named Jade….mee LUVSS doggiess! Wishin you an yur Mumma all thee best. Oh sweet Purrince Sidhartha, what a precious comment to leave for me…You have so brightened our day…Yes, it was heartbreaking to hear about our dear NylaBlue :-(…we prayed for your mommy…But now, it brings such joy to know you have filled her heart with such love…Trev and I wish you a beautiful day with lots of naps and tons of treats! LadyMum told mee shee was wurryin ’bout you an yur Mumma beecause youss’ not posted inn so-o long. So mee thott mee wood come over an leeve a commint. LadyMum finkss of you offen Trev Bear! I know I have been absent for quite a while…We are side by side everyday and I have much to blog and catch up on…I truly appreciate you asking about us, it is so encouraging to my heart…I look so forward to catching up with you and for Trev to get some nuzzle in with your little Purrince!!!! Hugs galore!!!! Hi there! I have been wondering alot about both of you. Was nervous maybe ‘something’ happened & I did not want to upset you. But we/I had to come & check in with you both. I had NO intention of adopting so soon afterwards but she sent Siddhartha Henry to me. 😉 I sitll miss her & I can’t watch the videos of her on PC yet. Her ashes are here with me as are Mingflower’s & you know Siddhartha Henry rubs the ash boxes all the time….it is the coolest thing to watch…. One day at a time…it is getting easier w/out Nylablue. Over the weekend I realized I had ‘fallen in love’ with Siddhartha Henry….so the healing has begun. 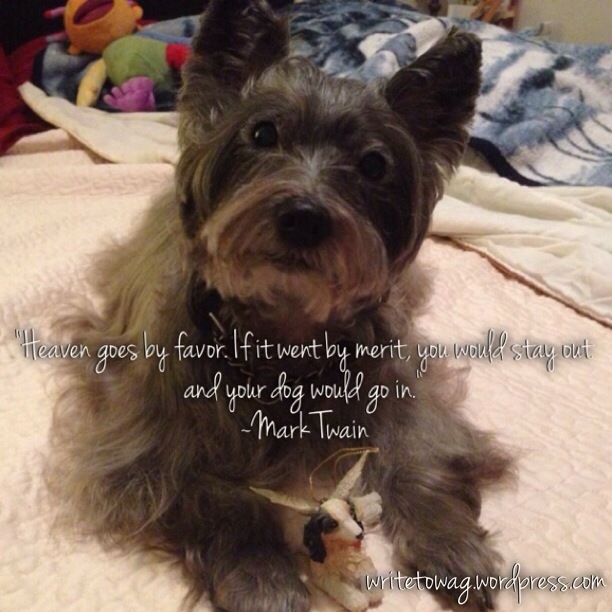 Thanks for letting me share….yes losing a beloved 4 legged is very difficult. the people here on WP helped so much!! Hope we get to chat again! Me too Miss Sherri-Ellen!!!! You are a wonderful person!!!! Thank you!!! So are you!! Please kiss Trev Bear for me….